An eccentric universe of unique flavours. This is the programme proposed by the range of e-liquids The Fuu. French Fabrication of E-liquids and Electronic Cigarettes, The Fuu is well known, gracious to its collection of e-liquids which are astonishing on the shelves of vapers. 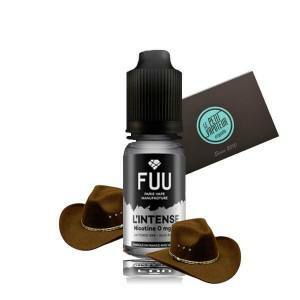 Find the best e-liquid The Fuu amongst the selection which will bring out those beaten sensations. Discover without wait the Original, Arcane and even the Curosity range and dive into the parallel universe of The Fuu.